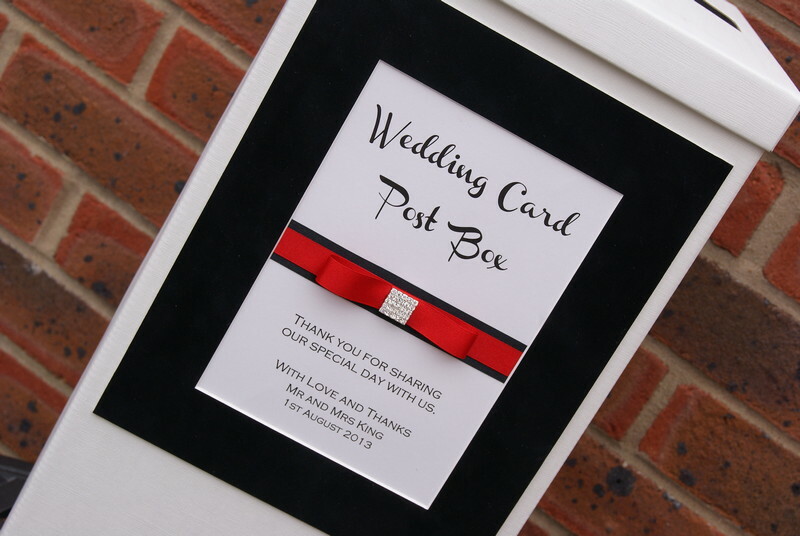 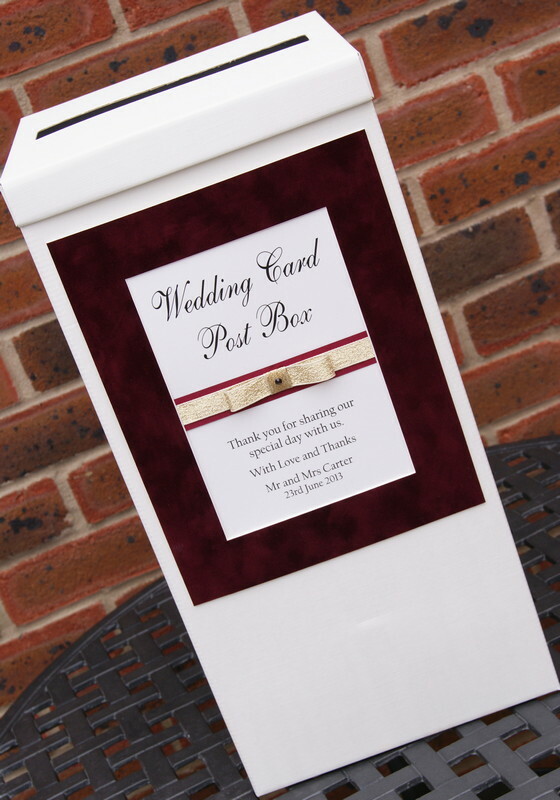 It is always a great idea to ensure there is somewhere your guests can clearly see where to pop your wedding card (especially if you have asked for cash. 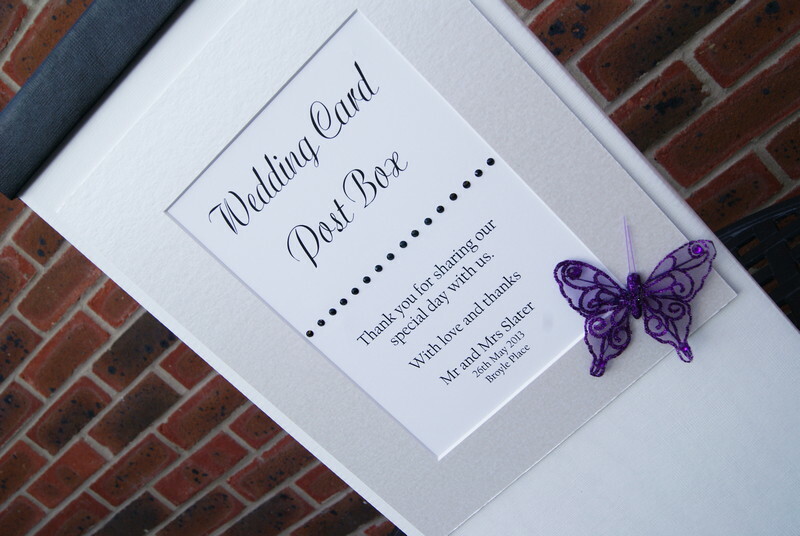 cheque or vouchers as a gift), so we offer post boxes for this reason. 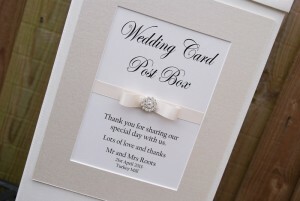 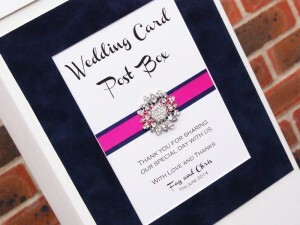 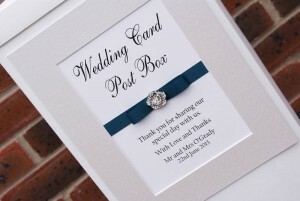 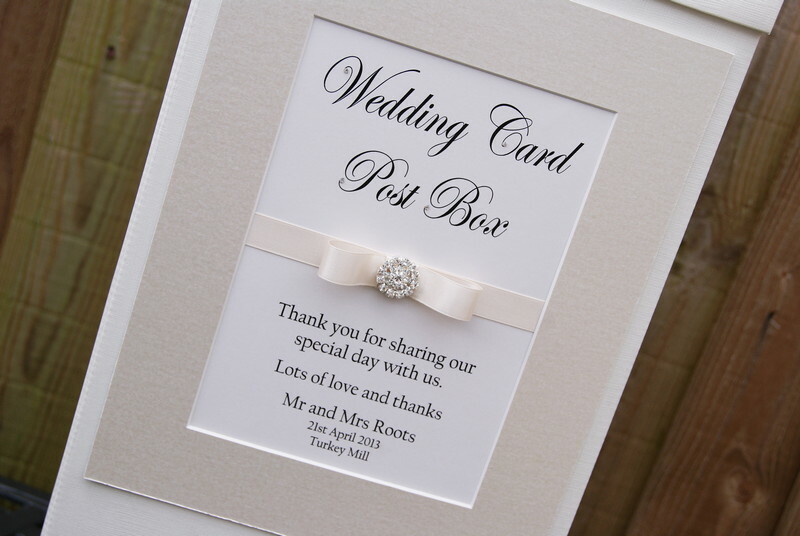 If you have other stationery ordered, we would create this to match it all perfectly! 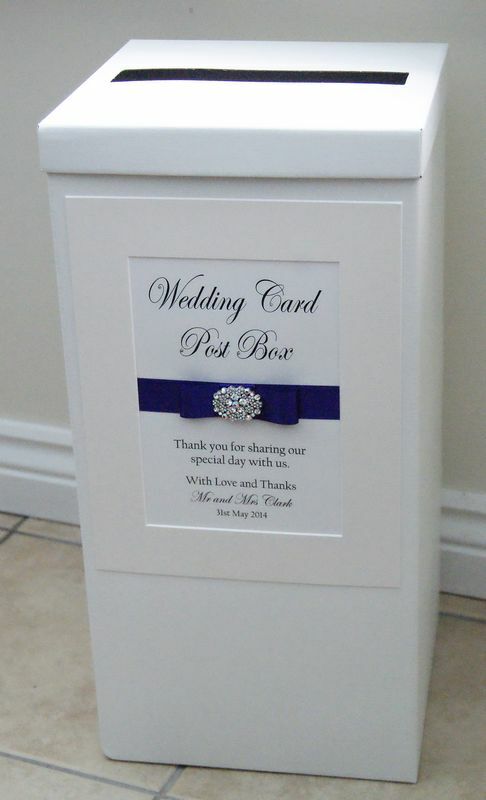 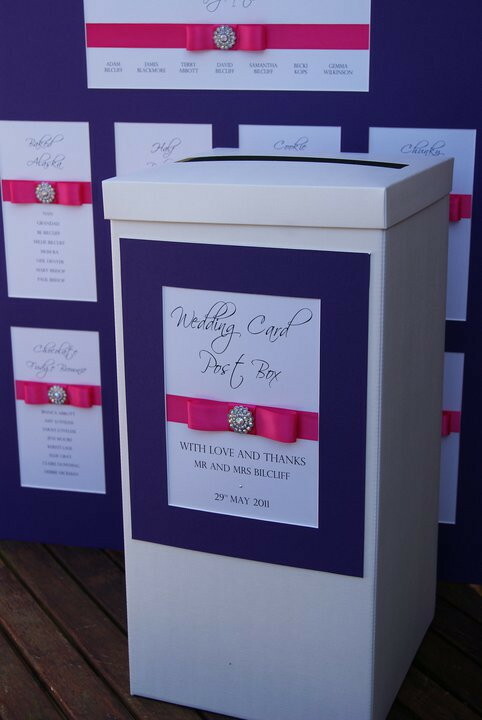 They are tall rigid boxes with a slot top lid (we can seal the lid down if you wish), so your guests need to post the card and all you need to do is pick the box up at the end of evening and your cards are all safe inside. 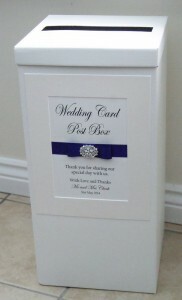 Here shows a few examples of post boxes made for our couples and come in lots of finishes and designs. 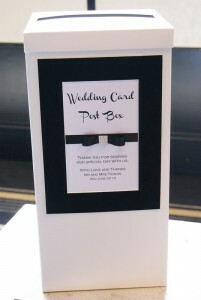 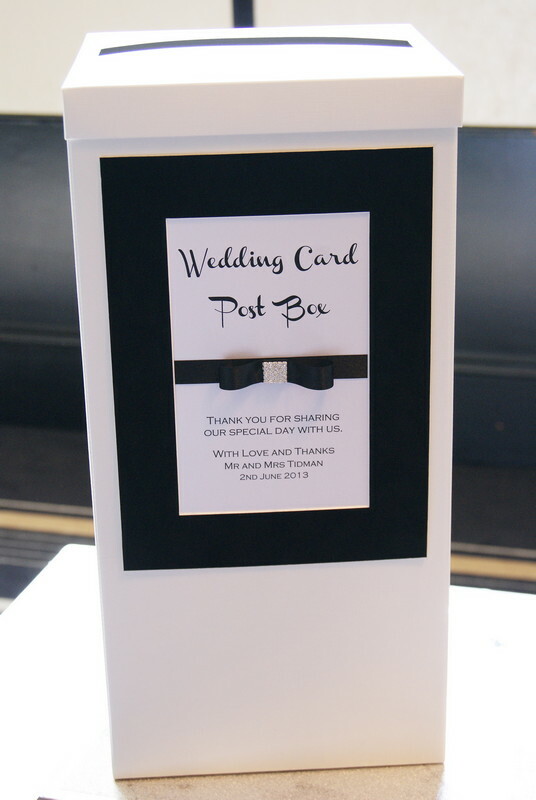 Post boxes £27.00 each (plus delivery if we need to post to you).